Save time and headspace thinking about what to eat and use food to feel better than you thought you could. Full of nourishing & delicious meal ideas, recipes & the latest nutrition insights. Pick my brain, get practical support, share food ideas, & on-going support. A new training video every week on a different nutrition hot-topic & access to the archive. Your chance to drop-in and get help to reach your food goals. Affordable & great value, without the stress of worrying about what to eat & why! Signing up gives you the chance to start making changes straight away. 1. Get new food ideas every week. Be inspired by my weekly email update and access over 160 tasty and do-able recipes any time in the Happy Eating recipe library. 2. Find our more about nutrition in mini weekly nutrition videos. Bite-sized videos full of expert nutrition info with tips to takeaway & put into action that week. 3. Get continued support & guidance. Use the private Facebook group to share food ideas or ask for help. 4. Enjoy feeling in control of what you eat! Enjoy the freedom of knowing what to eat to help you & your family stay healthy with tips & inspiration to make it easier. The Happy Eating Club is designed for you by a food expert with over 20 years experience. I’m Dr Rebecca Hiscutt (PhD), a nutrition consultant, food expert and Founder of the Happy Eating Club. I have spent my whole career helping and supporting people to make dietary changes which have a big impact on their lives and I can help you too. "Eating has become a pleasure again, I have more energy and have lost a stone in 6 weeks, it's great to feel confident about what to eat, how much and when; my asthma has improved and no more constant indigestion and dry skin patches." "I am enjoying your updates & recipes and in the process of doing a shopping list for loads of new ideas..."
"Being part of your Happy Eating Club is helping me gain knowledge about food and how it affects the body as well as picking up great new recipe ideas. You really have made a difference, thank you for being there for people like me who get lost in the yo-yo dieting world." "To be able to try the recipes is just the best and if I can start eating Kale that will be awesome. Thank you for all your hard work, your passion for nourishing food is so inspiring." "Resetting today! Planning, shopping, prepping and cooking! Went shopping today and trying your recipes. Sold to me!" "I love your positive thoughts about food and I genuinely want to spread the message!" 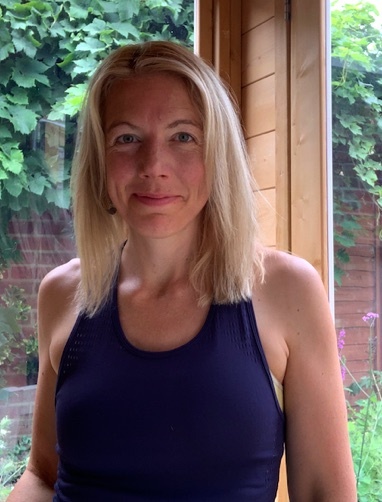 "The best bit about the Happy Eating Club for me is that it’s not focused on weight loss but on being generally well and getting the most out of what you eat. It’s about having a healthy and balanced approach to food and learning for life!" Two ways to pay, the same benefits. Cancel anytime. The Happy Eating Club is just £12 a month. You can join for as long as you want with no notice required. You’ll be in control of your membership and can stop this at anytime without explanation. I look forward to welcoming you as one of our very special Happy Eating members. Just £12/month and get all of the incredible benefits with an easy month-to-month subscription. Pay just £12 each month in advance, with no contract. Save with the yearly subscription. Pay the equivalent of just £8/month for the whole year with all of the benefits. £96 paid yearly in advance, equivalent to just £8 a month. The Happy Eating Club is made for you. The Happy Eating Club offers either a monthly (£12/mo) or yearly (£96/y) renewable rolling subscription during which you will receive the information, advice, and benefits outlined above. Payment will be collected from the card provided at the start of the subscription and then on the anniversary (monthly or yearly) of the payment date. You can cancel your subscription at any time by sending an email with your name and email address to hello@relishwellbeing.com. Your cancellation will take effect at the end of your current subscription period. For more information email me at hello@relishwellbeing.com or see our full terms and conditions.